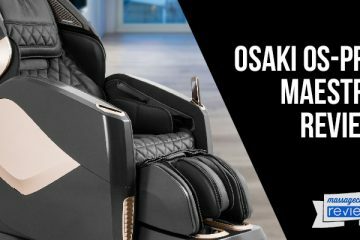 The new Osaki OS-7075R massage chair is the same massage chair as the very popular Osaki OS-7000 model, with a couple upgrades. The Osaki has added foot rollers in the soles of the feet and also has an upgraded motor for the rollers providing a more powerful humanistic massage. The Osaki OS-7075R massage chair is quickly becoming one of the most popular massage chairs on the market today. This is probably due to the overall amazing design of the chair. It is unlike any massage chair that I have ever seen. It is sleek, sophisticated and almost futuristic looking. I was lucky enough to have a chance to try the OS-7075R out a couple weeks ago, and it is very impressive and it even looks better in person. 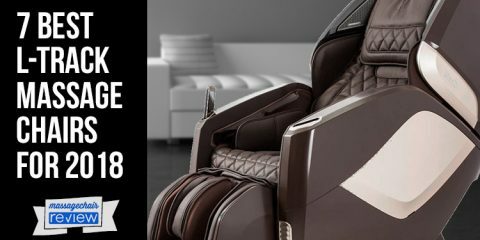 This massage chair is definitely one of the best deals on the market today, and it retails for $3,795 and is loaded features. Check out out full Osaki OS-7075R review below. 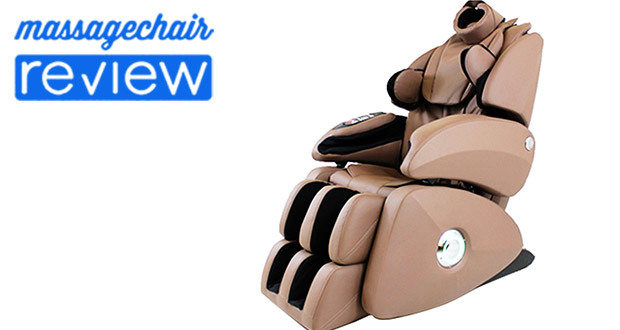 The Osaki OS-7075R massage chair is even more striking in person. If you like the look of it online, then you will absolutely love it in person. It is very comfortable, and cradles your body as you sit in it. This massage chair is also loaded with many features. It has all the basic features that you will find on a massage chair in its price range such as: infrared body scan technology, quad roller system, airbag massage system, and a nice selection of massage programs. 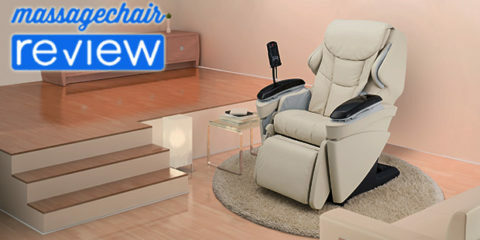 These are all very common features for massage chair in the $3,000 to $4,000 price range. Now let’s check out some more advanced features. These are what really make the Osaki OS-7075R stand out against the competition. I bring this up first because this is one of my favorite features. I absolutely love it. For those that have not heard of the position you can read in depth about here – zero gravity position. In short, it is a reclining position where your back is reclined and your knees are elevated above the heart. This position, also called the “neutral body position”, takes all the pressure off the spine leaving your body at a heightened state of relaxation. It is truly amazing, and great for quickly removing stress form a long day at work. The Osaki OS-7075R massage chair has a one-touch zero gravity position. All you have to do is hit the “weightless” button and the chair reclines. The seat back reclines up to 170 degrees and the seat raises 30 degrees to put you in a true zero gravity position. 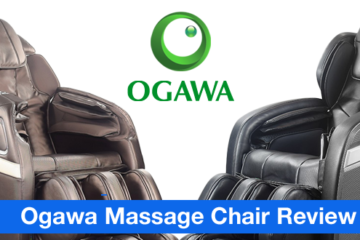 The Osaki OS-7075R is one of the stronger massages on the market. I really love a deep tissue massage and the this massage chair delivers one of the best I have experienced. It also has intensity levels so you can adjust the strength of the massage. If you like a deep massage then this is definitely the chair for you. The roller stroke is one of the more important features to look for in a massage chair. This is how far up your neck and down your back that the massage rollers can reach. The Osaki OS-7075R has one of the longer roller strokes we have seen in a massage chair, and can massage from your neck all the way down to your tailbone. The only other chairs with a roller stroke this long are the Sanyo 7700/8700 and Fujita massage chairs. 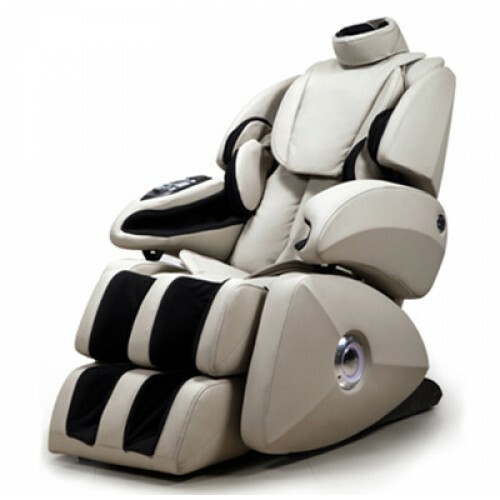 The OS-7075R has 46 airbags that deliver massage to the head, shoulders, arms, hands, legs, thighs and feet. 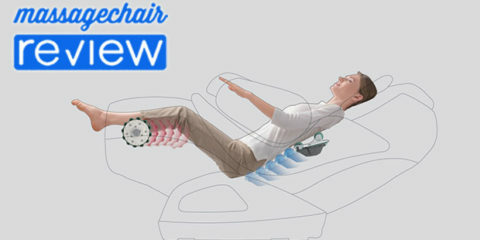 This is one of the more prominent air massage systems on the market. It has multiple massage programs for air massage. You can select whole body, upper body and lower body air massage. There is even an option to do a customized air massage that combines it with mechanical (roller) massage. This is definitely a nice feature on any massage chair, and the OS-7075R does a great job of integrating it. This is an interesting and unique feature. The hip and waist airbags apply a deep compression massage and the front should airbags inflate applying a rotation of the hips to stretch tight muscles. I enjoyed this feature a lot, and it really stretched out my lower body. The Osaki OS-7075R has one of the more complete heating systems that I have seen on a massage chair. Most massage chairs just have lower back heat such as the Osaki OS-4000, but the OS-7075R takes it a step further with an expansive heating system. It focuses on all the major joints and utilizes far infrared technology, which is milder and more therapeutic than traditional heating pads. The far infrared rays have a penetrating force that helps relieve tension and stimulate increased blood flow. This is the first time I have ever seen a head massage feature on any massage chair. It is very unique. Basically, you just place the airbag band around your head and it applies a gentle but intense massage imitating human palms pressing down on your forehead. This I found to be really relaxing and a great addition to the overall massage experience. The Osaki OS-7075R massage chair has a nice shoulder massage. It actually presses inward, which is different the Osaki OS-4000 and OS-6000 models. They airbags also are not static and are able to be adjusted vertically allowing it to fit various body types. The OS-7075R has a full body stretching program. This is a great feature and a very intense stretch. It has four stretching position and it stretches the spine and legs out great. This allows the back muscles and ligament to relax completely and better relieve fatigue. This is another great feature. The Osaki OS-7075R has a sync movement design which works great with the zero gravity recline. This allows the armrests to recline with the chair. A lot of massage chairs have static armrests that sometimes make the arms uncomfortable when reclined. I absolutely love this feature. This allows you to return the massage chair to the starting position just by touching one button. It might not sound like much at first, but after a 15 minute massage you will understand why automatic return is much better than manual return. I thought all massage chairs had this feature until I used the Inada Songo Dreamwave and surprisingly it does not have this. So when your massage is complete you have to hold down multiple buttons to return to the starting position. Trust me – when you are nice and relaxed this can be very annoying. I hope I did not ramble too much, but the Osaki OS-7075R just has so many great features that I did not want to leave any out. 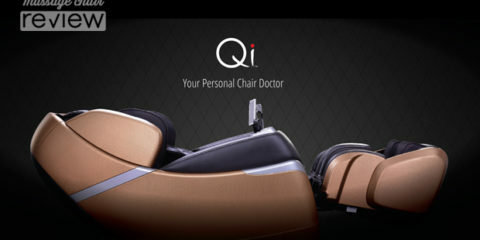 Overall this is a fantastic chair for the money and a great addition to the affordable line of Osaki massage chairs. I don’t think you will find a more complete and quality massage chair on the market at this price. Osaki has great warranties to go with all their chairs, as well as some of the most responsive support in the industry. 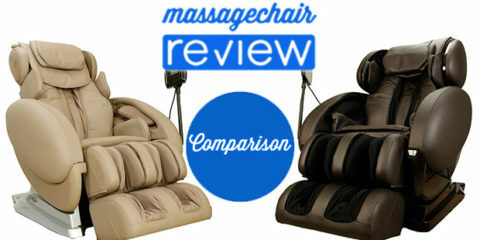 If you looking for a massage chair at any price range, then you definitely should consider an Osaki chair. 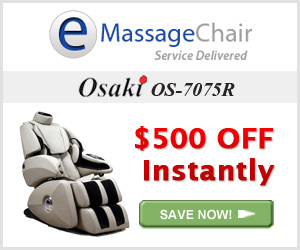 If you would like to learn more about the Osaki OS-7075R visit our preferred partner at Emassagechair.com and shop all Osaki Massage Chairs. It’s not good quality as it look. It’s broken every few month . The osaki company doesn’t helpful to fix my chair. I’m so disappointed to bough the osaki massage chair online . I wanted to return the chair because its not working. But the osaki company is not care to help me out. Please help me , if you have any advice. I’m sorry to hear about your experience with your massage chair. The best advice I can give is to contact Osaki directly to see how they can help. I know they do offer a 1 year in-home service period for the chair so as long as you’re within that time period you should be covered. Here is there warranty information – 1-888-848-2630. Sometime it can help to contact the store you bought it from to see if they can help too, I know some stores will help offer assistance even though they don’t do any of the warranty servicing themselves. I hope that helps Shirley, and thank you for sharing your experience.